Bug Doctor , the Paramus, New Jersey-based pest management company founded by President and CEO Stuart Aust, has been acquired by Anticimex. The deal enables Anticimex, a pest management company founded in Sweden in 1934, to enter the U.S. market. It owns pest management companies in 17 other countries and last year reported $450 million in total revenue. Aust not only will stay on with Bug Doctor, he also will serve as vice president of business development for Anticimex North America. He will get involved in mergers and acquisitions for the company. 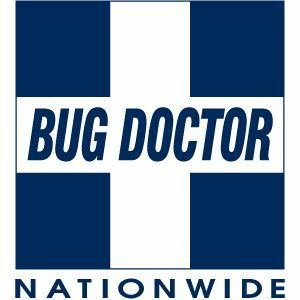 In 1992, Aust launched the company, which now consists of seven divisions: Bug Doctor Nationwide, Bird Doctor Worldwide, Animal Doctor, Bedbug Doctor, Mosquito Doctor, Restoration Doctor and Tree Doctor. All were included in the sale. Anticimex takes a decentralized approach, Aust said, and that’s what he was attracted to. Dahlfors said Bug Doctor is a great fit for the company. “Their culture of excellence toward their people and clients aligns naturally with the culture of Anticimex, where we combine our decades of experience with the latest technological innovations to provide our customers with the peace of mind that comes from long-term, sustainable solutions to their needs,” he said. Representing and serving as exclusive financial advisor to Bug Doctor in the sale was Lance Tullius, partner with Tullius Partners, an investment banking firm that specializes in merger and acquisition and financial/strategic advisory services for companies operating in select industries, including pest management.